In June of 2017, when I saw the headline that a former Star Trek actor was planning to run for the U.S. Congress, I wasn’t at all surprised to find out that it was J.G. HERTZER. Even though his character of General Martok from Deep Space Nine (who eventually became Chancellor Martok, leader of the Klingon Empire) loathed politics, J.G. always seemed drawn to it. The few times I’d seen and spoken with him at conventions, J.G. would invariably share his strongly-held progressive views on political issues and politicians in general. So it kinda made sense that J.G. would combine his two passions—theater and politics—into his campaign to represent the 23rd Congressional District of New York State. That said, I still scratched my head a little at J.G.’s choice to run simultaneously as himself and also as his “spokesman” Mark Twain (pen name of noted American author Samuel Clemens). 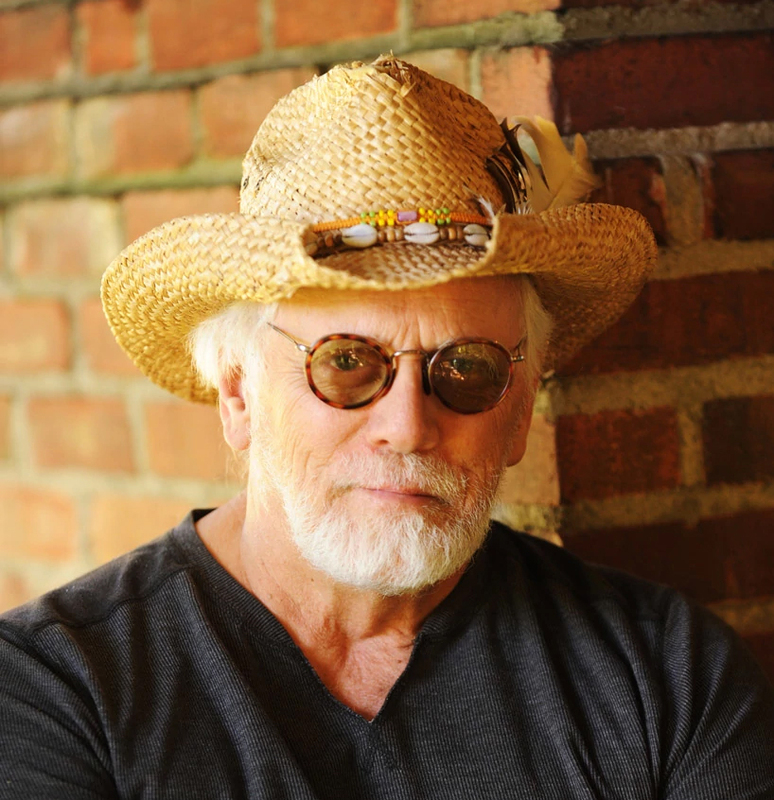 Clemens spent a portion of his adult life living and writing in J.G.’s upstate New York district, and the author’s humorous and straight-spoken approach to life seemed a perfect way to comment on the state of our union and the challenges facing it. 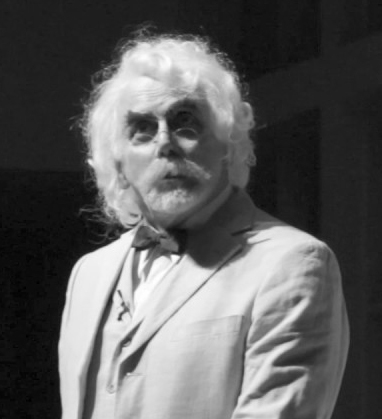 Unfortunately for the fan film AXANAR, however, J.G.’s choice to campaign as Mark Twain included a decision to also look the part, which meant letting his hair grow long and wavy (like the author). This precluded J.G. 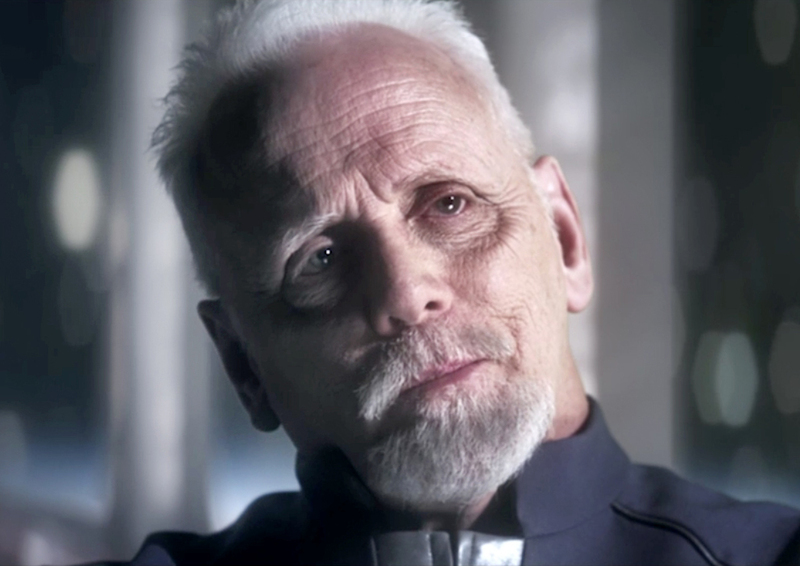 from filming any scenes of the upcoming Axanar fan film sequels until after the U.S. midterm elections in November, as his character of Admiral Sam Travis had a distinctively short military-style haircut. 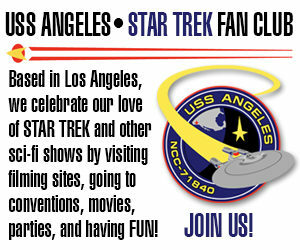 So naturally, as an Axanar supporter myself, I took notice when I learned last week that J.G. Hertzler was SUSPENDING his Congressional campaign! Did this mean he was now free to cut his hair and do Axanar sooner? Was he even going to do Axanar at all? (He hadn’t been officially confirmed yet.) And why would J.G. suddenly suspend his campaign less than three months before the midterm elections? I was extremely excited to get an opportunity to interview J.G. last week, and while I usually try my best to keep politics off of my blog site, this time it seems to be unavoidable. And J.G. had a LOT to say about the state of our government at the moment…about 2/3 of our interview, in fact! So if you’re a conservative and/or a Trump supporter, if you think “liberal” and “progressive” are four-letter words, if you believe every media organization except one is part of a vast deep-state, left-wing fake news conspiracy…then you might want to consider fast-forwarding to the 36:45 mark on the following interview (when we finally start talking about Axanar). On the other hand, if you aren’t afraid of a little political discourse, I encourage you to listen to the whole interview because it’s very different than the usual fannish back-and-forth where you find out how an actor got the part and what his favorite memory is of his time on Star Trek. Instead, much of the interview looks at aspects of this intelligent and fascinating actor separate from his Star Trek and fan film experiences—a glimpse into the things that J.G. Hertzler thinks are most important in the world today—and why. And remember that you can see J.G. Hertzler live in a small and friendly setting at AXACON on November 3 and 4 in Atlanta. Click here for more info. Excellent interview love the visit to New York, my wife graduated from Wells in Aurora. Loved the insight into politics of the region. Run again. Times are changing. Great to hear my thoughts on the orange blob is reciprocated by others. Thanks Jonathan and JG!! Really enjoyed..
They’ve been strangely silent all day so far. Usually within a few hours at most of me posting an Axanar-related blog, someone on the Axamonitor Facebook group will post something about it, and several others will pile on with insults or snide comments. Granted, it’s probably because J.G. dispelled nearly every narrative the detractors have been trying to sell. 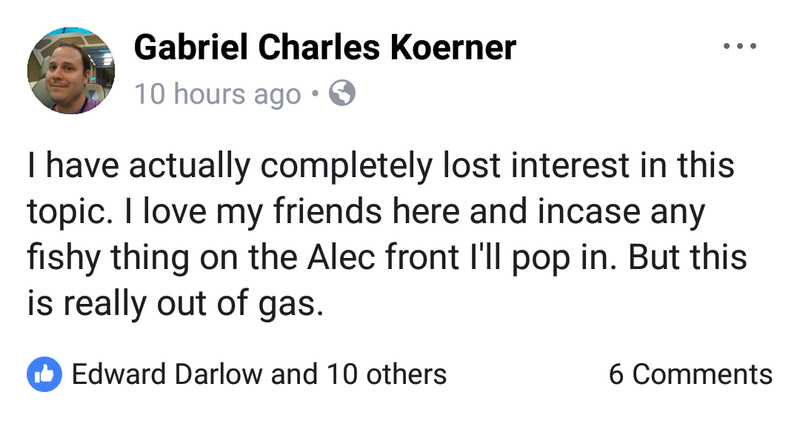 Gabe Koerner recently said that he talked to J.G. at Las Vegas con and he “had neither hateful not respectful things to say about Mr. Peters.” Well, this certainly seems to show that to be “fake news.” J.G. also confirmed that Alec never made himself rich off of Axanar or kept anything for himself. And of course, their other oft-repeated claim that Axanar will never happen is now fading in the face of J.G.’s statement that he’s now been booked to film his scenes early next year. Wow, amazing interview there! I rarely hear Star Trek actors talking politics at length like this, it was so refreshing to hear! Especially the very topical nature of this, whenever I do hear the short segments of them briefly discussing politics on youtube videos it already feels like yesterday’s news, a few years after the events. So sad to hear that the reason for the suspension of his campaign came from a lack of support. I have been kind of following his campaign but I never saw any kind of advertising asking for volunteers, just the initial video of him announcing his congressional run. I feel sure he could have amassed a whole heap of Star Trek fans from all over the country (and perhaps further) to come and help him. Just look at the fans that turn up to Patrick Stewart’s Shakespeare plays, dressed in Star Trek uniforms. Next time J.G., next time! The problem for J.G. is that he needed local volunteers registered to vote in the district. He had a few, but not enough to get the 5,000 required signatures. Sure, Trekkers could have helped canvas, but that kind of commitment—spending months living in upstate New York and going door to door—is asking for a LOT from even the most loyal fan. I will have to skip the first 45 minutes I guess. I am so sick of hollyweird Libtards, but…. you got to love Grandpa Martoc! I’m sorry, did you say “libtard”? What are you, like, six? We’re trying to run the largest and most powerful economy and military in the world with 325 million citizens living in a democratic republic…not a clubhouse with a secret handshake and lemonade on Fridays made by Billy’s mommy. If you feel like name-calling is going to make this nation greater, better, smarter, or more united, then you might be more of part of creating the problem than a part of solving it. So glad to hear this update from Mr. Hertzler himself. I think I was one of the few people to pick the “Voicemail Greeting” perk from the Indiegogo campaign, and it’s been my hope from the very beginning that J.G. will be able to do that greeting for me. I’m sure endeavor of politics was a more worthwhile effort of his time in the grand scheme of things, but as a fan I just gotta say I’m glad he’s still on board with this project. Yes it is. I met him 4 years ago and he was awesome! Laid back, talking about his time Prince Georges County Maryland and then asking me if i would sing a song at Karaoke. Hey there. YES, we will be getting all of those greetinsg recorded this Fall when JG is down here for Axacon! Excellent, thank you for the update Alec! An awesome interview with J.G.! Thank you Jonathan! Both J.G. and Sam Clemens enjoys a good cigar. I could see Martok going through the trimming and lighting process. Now that’s a poster I would love to own. Martok with a glass of blood wine in one hand and a cigar in the other. Previous Previous post: AXACON adds more guests – TICKETS now available! Next Next post: Fan Film BJO AWARDS Wikipedia page almost gets deleted!